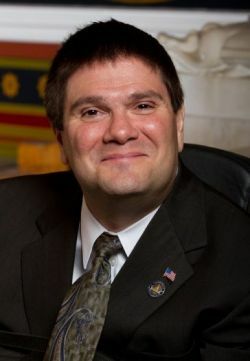 The following is a letter by State Rep. Molgano (R-Stamford). Views and opinion expressed in it do not represent the views and opinion of Canaiden LLC, its associates and entities. We welcome letters from readers for online and print consideration to pr@canaiden.com. From the sleepless nights I’ve spent debating legislation in the House of Representatives to the long hours of committee meetings spent diving deeper into the issues facing our state, I’ve always done my best to keep your hearts and minds with me on every vote I have cast. With this recent election now behind us and with all of us looking towards the future, I want to let you know my intentions as your state representative have not changed. My mission remains making your voices clearly heard in the halls of the State Capitol – and I will continue to do this to the best of my ability. With that being said, there is still much work that needs to be done. During the special session that was held on December 19th, leaders from both parties in the state legislature were able to come together to create a budget package that closed our current budget deficit of $252 million. This deal signifies that the legislature can indeed come together to create bi partisan legislation that embodies the vast majority of Connecticut’s citizens, rather than a select few. With many important topics on the horizon for the upcoming session in 2013, I hope the legislature can continue the progress made this past special session so we can continue to give the people of Connecticut the fair and equal legislation they deserve. As we end 2012 and set our sights on the New Year, and as I look to opening day of the General Assembly, I wish to thank you, the people of Stamford. You have once again put your trust in me to represent you these next two years, and I will hold this trust in the highest regard by doing my best to represent the beliefs and ideas of our community and families of Stamford.